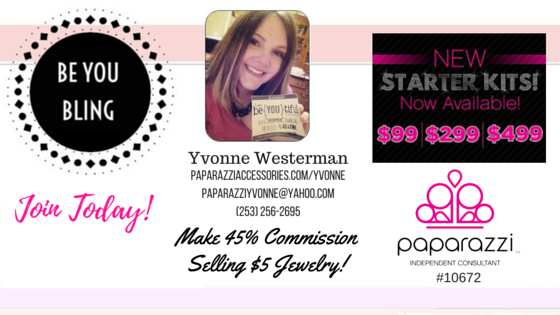 tag: BeYouBling: September is the month to join Paparazzi!!! September is the month to join Paparazzi!!! September is the month to join Paparazzi because every Consultant who enrolls three new Consultants with Starter Kits will receive a ten pack of NEW fall inventory for FREE! Want more? Those who enroll five new Consultants with Starter Kits will receive 25 brand new fall pieces! * Additionally, the top Consultant based on the number of new, personally sponsored Consultants with Starter Kits during the month of September will receive 100 pieces from the new fall collection! As an added bonus, each pack of free goodies will include some of the unforgettable convention-exclusive pieces! This is great motivation to get started with this AMAZING company, build a strong team and make a TON of money before the holidays!! The new line will start shipping on September 1st and you are going to LOVE these new pieces! !